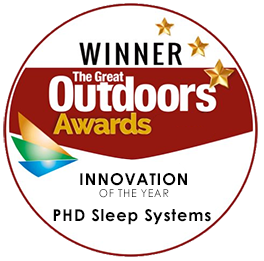 PHD Sleep Systems adds new dimensions to an old idea. Use this astonishing framework to cut the weight and bulk of your sleeping bag and still end up with a system that is warmer, more compact and more versatile than conventional kit. To understand more about it, go to What is Sleep Systems. If you’re ready to start sorting out the best system for your next trip straight away, go on to the choices below. The individual systems we recommend have been gathered under two headings here, sorted by Activity and by Destination. You’ll find 40 Systems listed covering everything from ultralight racing to 8000m peaks. But the possibilities for using Sleep Systems are as wide as you wish to make them. So if you already have other PHD gear or would prefer to buy items which are not in the systems shown, contact us by email or phone and we will do our best to advise you. Map of Denali courtesy of the U.S. Geological Survey.